Subscribe to Motorhomes, Caravans & Destinations magazine for your Chance To Win a Trip for 4 to Rarotonga! New Zealand Motorhomes Caravans & Destinations is to become the caravan and motorhome enthusiasts' bible. From in-depth New Zealand and Australian travel features to reviews, conversions, technical information and accessories, NZMCD is richly illustrated, well designed and written by journalists passionate about traveling. 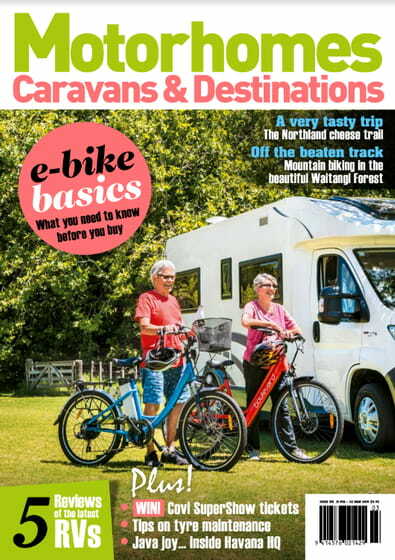 New Zealand Motorhomes Caravans & Destinations is a monthly title. Please allow up to 4-7 weeks for first issue delivery. Great magazine,always a good mix of travel, destinations, motorhomes as well as new products on the market.